Erica has a long history in athletics, from martial arts and fencing to yoga and tennis, with a few other sports mixed in while she was growing up. 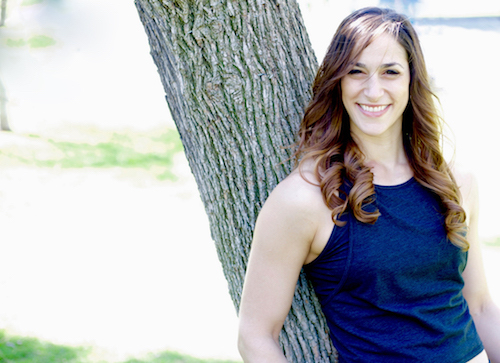 Although she originally moved to from New Hampshire to New York City for acting, it was in this journey that she found her true love in helping people discover what they’re capable of through CrossFit and nutrition. Although Erica Giovinazzo, MS, RD, has extensively studied nutrition and fitness, her words and suggestions are not meant for everybody. Make your own decisions about your health and fitness through research. Erica Giovinazzo, MS, RD will not be held responsible. Erica has a long history in athletics, from martial arts and fencing to yoga and tennis, with a few other sports mixed in while she was growing up. 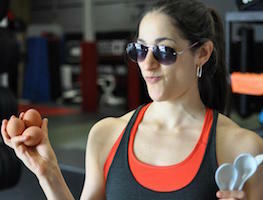 Although she originally moved from New Hampshire to New York City for acting, it was in this journey that she found her true love in helping people discover what they’re capable of through CrossFit and nutrition, and has since brought that to Los Angeles.